By romain on 03/05/2008. Posted in Live Music. 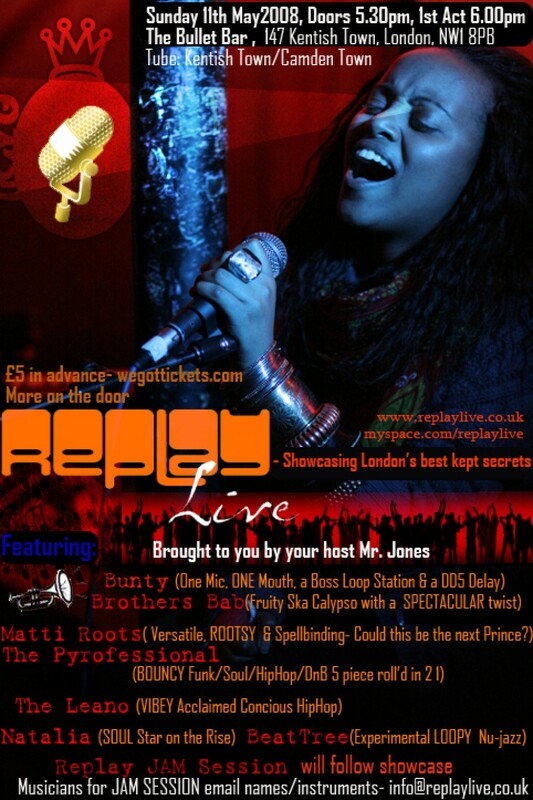 Replay Live @ Bullet Bar, 147 Kentish Town Road, NW1 8PD, London, UK. Replay Live has been going on for a while now, and it is a great night for any upcoming artist to perform. The acts are of really good quality, and the ambiance is just worth the £5 entry, believe me!